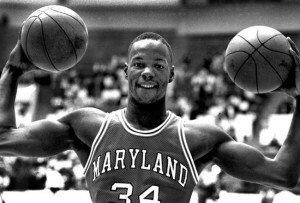 Len Bias was an All-American at Maryland. It is hard to believe that 30 years have passed since that shocking day in June of 1986 when one of the brightest young basketball stars of the day was suddenly went from a sports icon to a national symbol for the drug epidemic that seemed to be plaguing the country at the time. 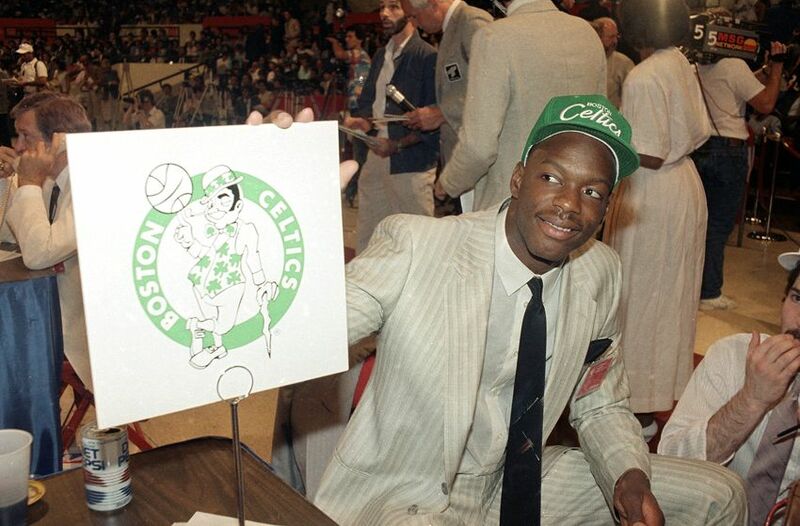 During his college basketball career as a member of the Maryland Terrapins, Len Bias was known as one of the most athletic and talented players in the game and was expected to be an impact player for the Boston Celtics, who chose him with the second pick in the 1986 NBA draft. Instead, his shocking death on June 19, 1986 became the impact moment for America’s war on drugs and led to harsher laws that negatively impacted the lives of many low-level drug users, a disproportionate number of whom were young black men, who were suddenly faced with mandatory prison sentences. 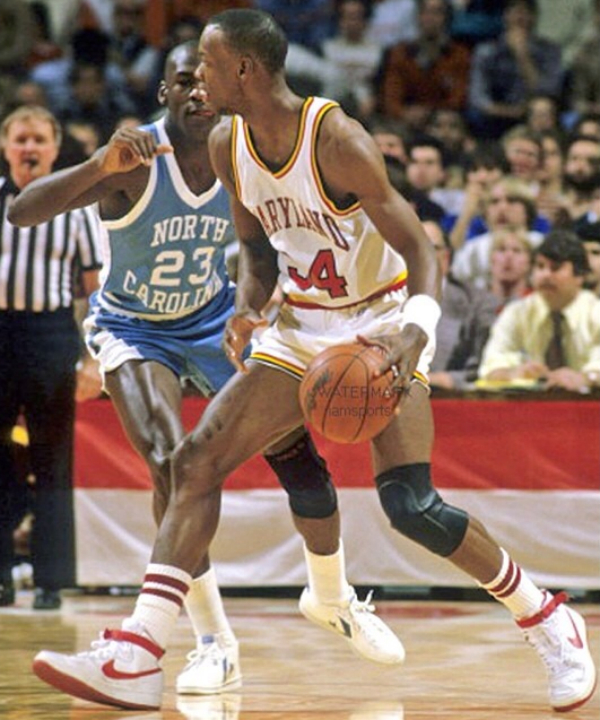 Even though the Internet was still nearly a decade away, in the days following the death of Len Bias information, much of it proving to be inaccurate, was coming out fast and furious from a national media that was surprisingly captivated by the story. 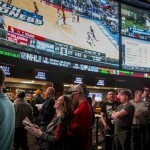 Even today, it is not typical for a sports event other than the Super Bowl, Olympics or some other large event or a major tragedy to cross into the general national consciousness. However, because of the shocking and abrupt nature of Bias’ death and the fact that drugs were involved at a time when the national “war on drugs” campaign was at its apex, the death took on a larger than normal stature. Bias and Michael Jordan battled in college and many wonder if Bias could have eclipsed Jordan as an NBA player. There were quickly rumors that Bias died from using crack cocaine, a cheap form of cocaine that was being blamed for the rampant rise of cocaine use and many other social ills. Though that proved not to be the case (Bias snorted powder cocaine) it didn’t change the rhetoric coming from politicians on both sides of the aisle that something had to be done about America’s drug problem. With mid-term elections coming in November, both parties were scrambling to be seen as the party having an impact on the war on drugs. Typically, Washington moves at a glacier pace when dealing with major issues. However, within four months of the death of Len Bias, the Anti-Drug Abuse Act of 1986 was passed and signed into law. Bias became the public face for the need for urgency on the issue and as a result, the bill received little analysis and vetting. The law’s most significant component was a set of mandatory minimum sentences for drug crimes, which Congress had repealed 16 years prior. They were weighted heavily against crack, requiring only 5 grams to trigger a five-year prison sentence, compared to 500 grams for powder cocaine. The sentences rose to 10 years with 50 grams of crack and 5,000 grams of powder. Other drugs had their own required penalties. The goal was to impose long prison terms on high-level dealers, but with the benefit of hindsight we now know that the hastily drawn provisions were based on little real-world evidence. The amounts fell far below what many kingpin-level traffickers handled, and the laws were more often used by cops and prosecutors against street-level operatives. Enforcement fell largely on poor residents of inner cities, where dealing was more likely to be done in the open, and where police already focused their patrols. Though studies later showed that whites and blacks used cocaine at roughly the same rates, the number of arrests and convictions on drug offenses were not equal. In 1985, there were about 35,000 people in federal prison with 9,500 being imprisoned for drug charges. Today, there are roughly 195,000 federal inmates, with more than 85,000 serving sentences related to drugs. According to the Bureau of Justice Statistics, about 75% of the drug offenders are black or Hispanic. The numbers for state prisons are very similar. The defending NBA Champion Boston Celtics made Bias the second pick in the NBA draft just two days before he died. While there are certainly many other factors that have contributed, the 1986 drug act seems to have played a role in the struggles young black men from the inner cities and low-income histories have had over the last three decades. The Fair Sentencing Act of 2010 has slightly changed the threshold for sentencing, but there are still additional reforms needed. The sudden death of Bias also played a major role in the unraveling of both the University of Maryland basketball program and the Boston Celtics. Within days after Bias died, there was a criminal investigation that brought significant notoriety on the Maryland basketball program and head coach Lefty Driesell. The culture of the program was called into play and though Driesell was a beloved coach at Maryland, he could not withstand the storm and never coached another game for the Terrapins. Maryland had won 20 or more games 10 times in Driesell’s 17 seasons and were coming off a streak of four straight NCAA Tournament appearances. In the first seven seasons after Driesell’s departure, the Terrapins had only three winning seasons and one NCAA Tournament appearance. They eventually regained prominence under Gary Williams culminating with the 2002 NCAA Championship. The decline of the Boston Celtics was a bit slower, but took them longer to recover. After winning the NBA Championship just before drafting Bias, the Celtics again made the finals in 1987 before losing to the Los Angeles Lakers. However, without Bias to carry the mantel, the eventual decline of stars Larry Bird, Kevin McHale and Robert Parrish could not be overcome. Sadly, another tragedy struck the team in 1993 when burgeoning star guard Reggie Lewis died over a heart issue during the offseason. At a time when Bias would have certainly been expected to be at his peak, the Celtics went eight straight seasons (1993-94 to 2000-01) without a winning record. 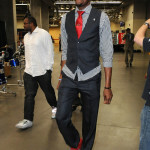 They had three additional losing seasons in the next six years before winning the NBA title in 2007 after adding veterans Ray Allen and Kevin Garnett. The death of Len Bias was a shocking and tragic chapter in American history. It will be remembered both because it was an unnecessary tragedy that ended what was expected to be a great basketball career and because it served as a catalyst for a law whose unintended consequences have impacted more than a generation of young men.